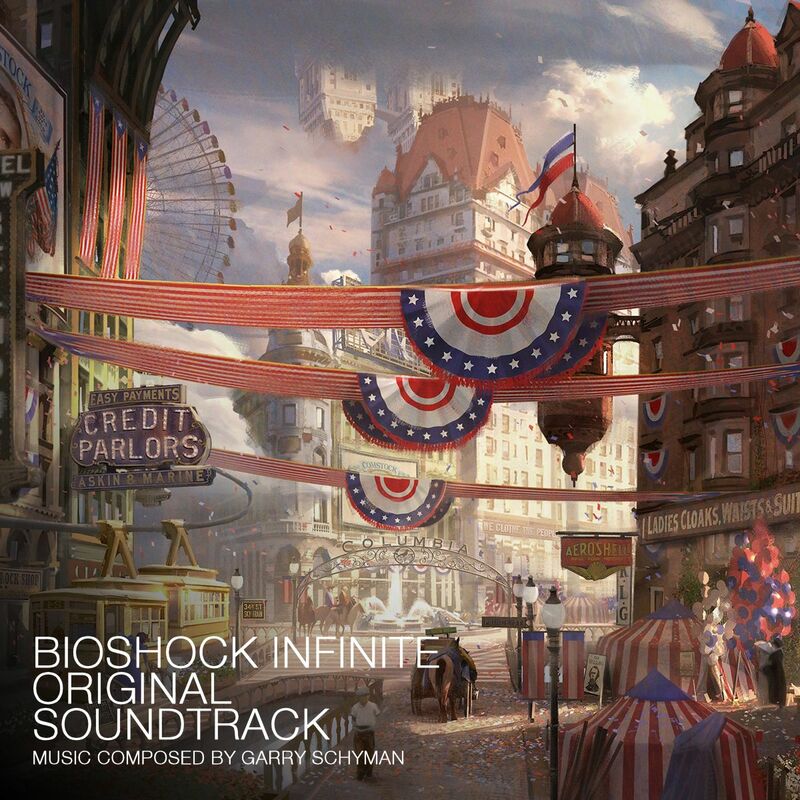 When Garry Schyman’s score soundtrack to BioShock was released on the official website, I immediately started designing cover artworks for it. I especially like the first one (#1) with it’s 3D-like surface. It took me some attempts to match the credits font with the official logo, but I think it turned out pretty good. I also compiled a song album with the licensed vintage music from the past, so I had to make a second cover (#2) to go along with it. The same goes for BioShock 2 of course. I created an entirely new score album art from scratch (#3) and also slightly enhanced the official songs compilation (#4) to better fit into this series. 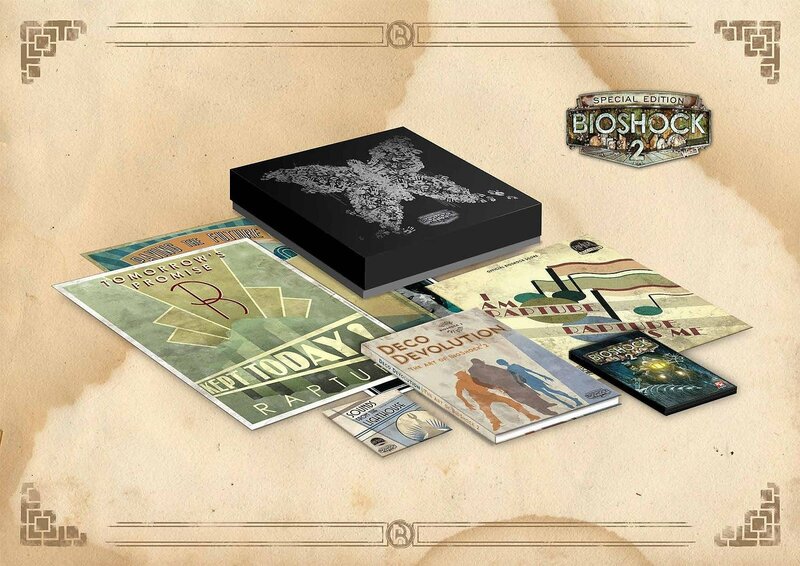 Custom cover #6 is based on the BioShock 2 Special Edition box, which included a ton of bonus material. And because this entry is representing both games, I had to design a companion piece for BioShock as well (#5), only this time using the game’s beta logo. I’ve also created two customs as a tribute to Irrational Games’ concept artists and their incredible works (#7, #8). At the same time they’re a tribute to the Tekkonkinkreet Original Soundtrack by Plaid, which ties simplicity and art in such a wonderful way. I did a quick trilogy of these customs, meaning there’s also one for BioShock Infinite. To complement my BioShock & BioShock 2 cover family, I’m also posting the original ones I came across during my web research. You can say what you want, but Irrational has a knack for successful artwork. For the record, here’s the extended BioShock score (#9) that finally came on vinyl record with the BioShock 2 Special Edition. And also the german soundtrack sampler from Take-Two (#10) and the songs compilation from X5 Music Group (#11). From BioShock 2 we have the original score on compact disc (#12) which was bundled with the game’s Special Edition. The last one (#13) is an extremely rare 7″ vinyl record, that was published as a promo single within the BioShock 2 Special Edition box set. I really dig this retro design, but I’m still looking for a decent scan. I had to take potluck with an out of perspective photograph I found on ebay. This one is heavily cropped, edited and grain-reduced – and looks accordingly bad. But I still love this design and it’s the best I could do with the lack of source material.